We being a distinguished business company are highly dynamic in providing to the industry a vast gamut of Fruits and Vegetable Tray. 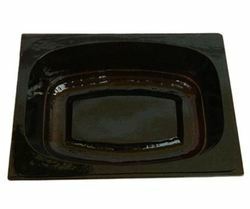 Specially disigned Smart, sleek looking vegetable-tray for cleaning and cutting purpose. And for other usages which will make you comfortable. It's useful companion in your daily cooking. Owing to the vast industry experience of this domain, we are offering a huge collection of high-quality Vegetable Packaging Tray to our valued clients. Furthermore, we offer these products to our patrons in numerous sizes.